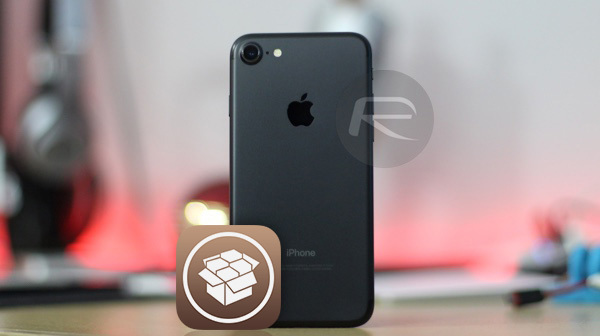 Abraham Masri, the developer responsible for the Houdini semi-jailbreak solution, has announced that a new version is available for immediate download. Dubbed “beta 2r1” or “b2r1”, the updated tool is a direct continuation of the second beta version of Houdini which was pushed out only yesterday. Houdini is one of those tools that actually feels like it has been around for a while purely because developers in the community have been dishing out and announcing upcoming jailbreaks as if they are going out of fashion recently. Houdini preceded all of those announcements with a release in early December for iOS 10.3.x devices and has recently – just yesterday – been updated and pushed to beta 2 with support for 64-bit devices running up to iOS 11.1.2. An issue was clearly found with that release which has prompted the move to Houdini beta 2r1. This latest release of Houdini immediately fixes an issue being experienced in the initial beta 2 release where boot logos are concerned. Masri has acted promptly based on user feedback to get this issue resolved, which is, of course, fixed with the release of beta 2 release 1. It’s hardly a huge changelog or set of improvements but it’s great to see that the developer has acted almost immediately to resolve the problem. Especially considering the tool has now been opened up to additional devices running iOS 11 through to iOS 11.1.2 thanks to the inclusion of the Ian Beer async_wake exploit. The announcement from Masri also claims that beta 2 release 1 “adds more,” which, at this stage, isn’t clear if that means add more boot logo options or adds more functionality. 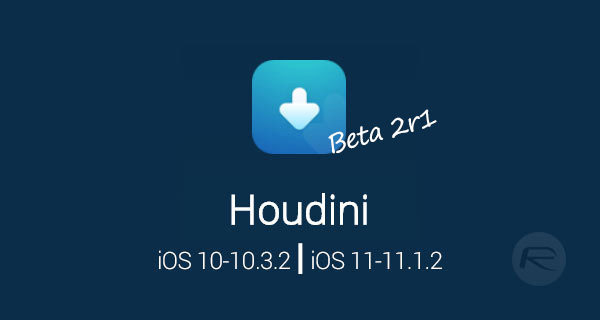 The official changelog on the Houdini site simply references the fact that release 1 fixes boot logos for iOS 11 device owners and doesn’t explicitly make any reference to additional functionality or features. It’s one of those ones where you simply dive in and see if you can find anything new. As with previous versions of Houdini, you can grab the latest version of the Houdini IPA over at the official website here iabem97.github.io/houdini_website/. Once you have the IPA with you, check out our guide on installing unsigned IPA files on your iPhone or iPad here: Sideload iOS Apps On Windows, Mac With Cydia Impactor Without Jailbreak, Here’s How.